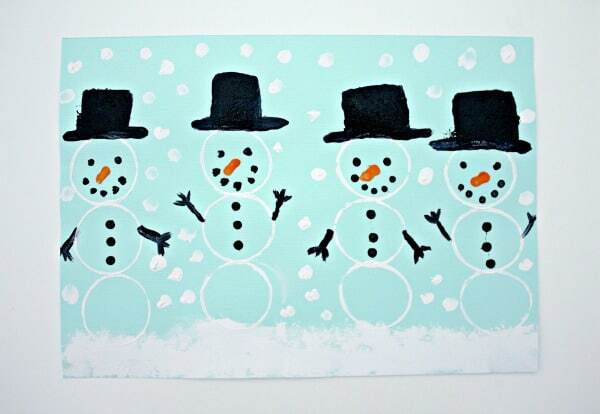 This time of year, we love to dive into winter themes and snowmen happen to be one of our favorites! 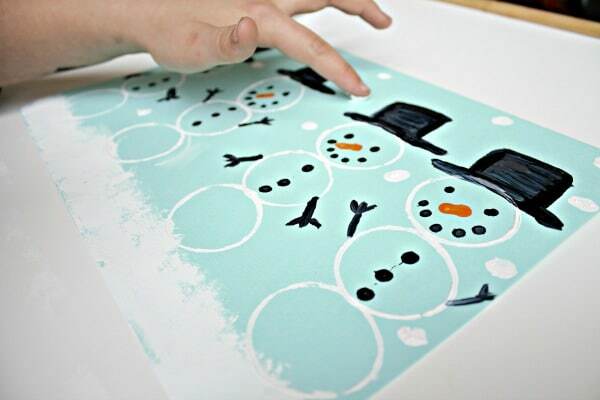 Although we can’t build our own snowman here in Florida, it’s fun to find new ways to create them through art. 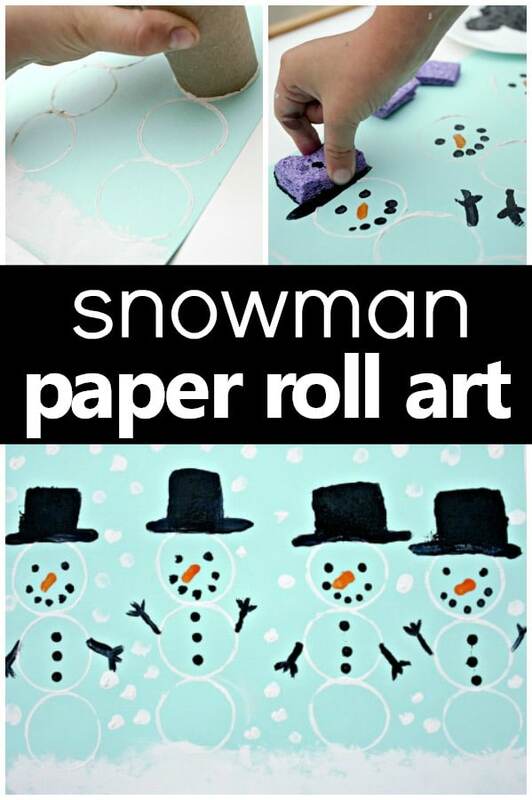 After reading some of our favorite books about snowmen, I set out an open-ended snowman paper roll art activity. 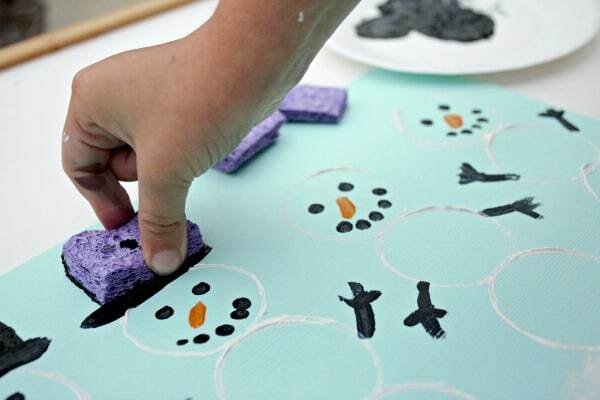 This snowman art activity includes multiple materials to create a snowman with more than just a paint brush. 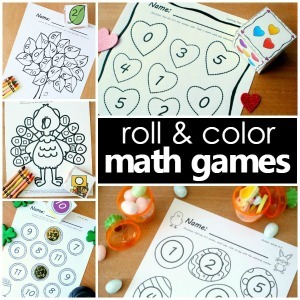 Begin the activity by introducing all of the materials. 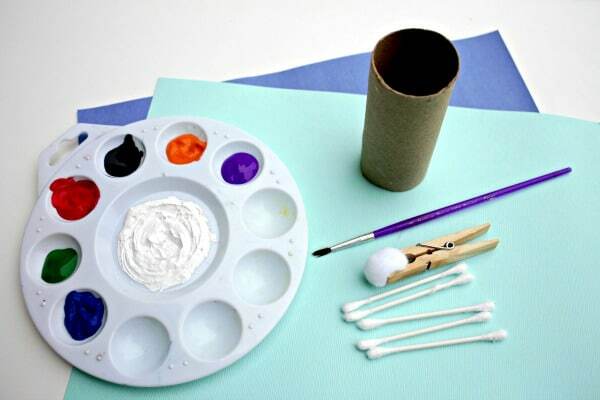 Prompt children to explore the painting materials and ask them how they would use each material. 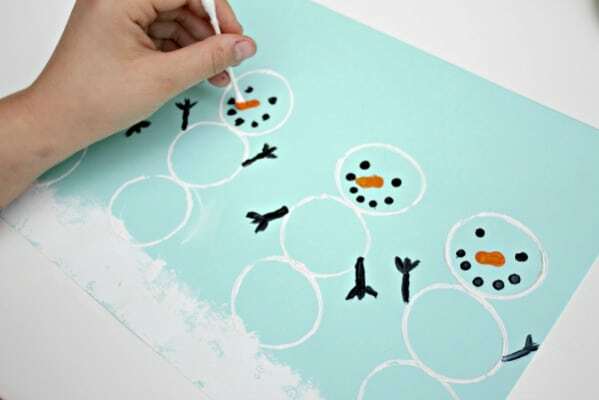 For example, ask them what part of the snowman they could stamp with the square and rectangular sponges, or what they could paint with a small q-tip. This will also provide an excellent opportunity to review the parts of a snowman. 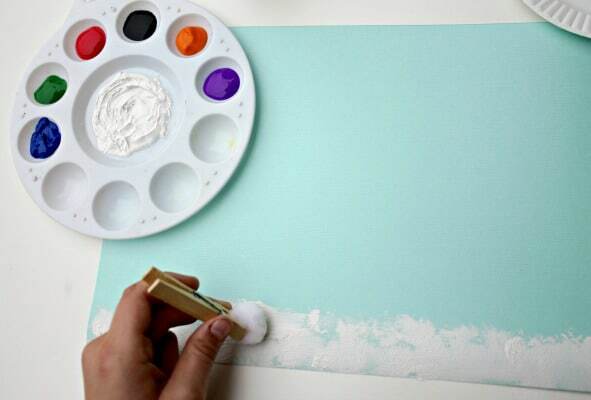 Once all of the materials have been identified and discussed, the art creation may begin! Allow each child to choose how they will use each material. Some scaffolding may be required, but try to be as open-ended as possible to see where each creation will lead! 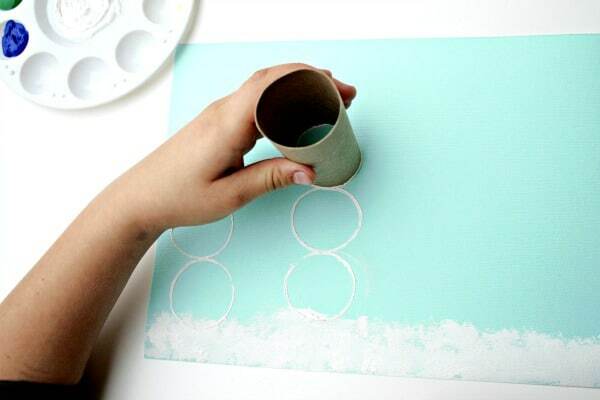 Our snowman paper roll art first started out with a blanket of snow on the ground using a pom-pom clipped onto a clothespin. This material allowed for a lot of ground to be covered quickly and provided a fluffy look for the snow. 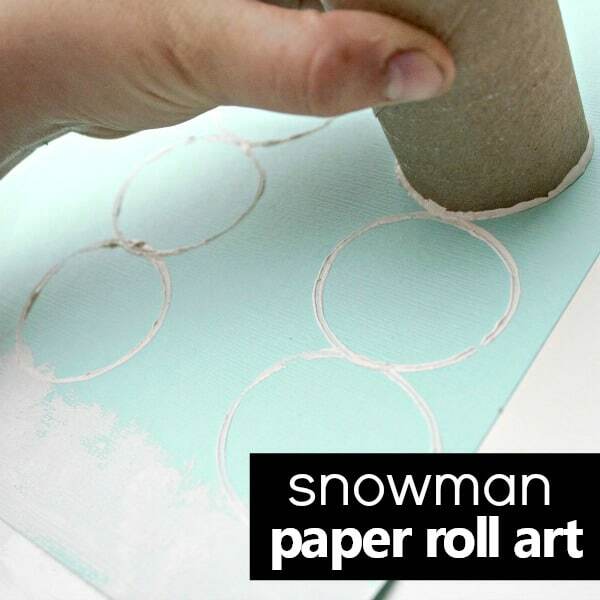 The paper rolls are then used to stamp and stack the round snowballs, creating snowmen. You may encourage children to create a snowman family that represents their own, or as little or as many snowmen as they like. It was decided that the q-tips would be perfect to create small dots for the eyes, mouth, and buttons. They also worked perfectly for short strokes to incorporate the snowmen’s stick arms and carrot nose. You may choose to incorporate colorful buttons, creating different looks for each snowman. Every snowman needs a hat to keep his head warm! Our hats were created by first painting one line atop his head to represent the brim. Then it was time to stamp his hat on. Using the square and rectangular sponge cut-outs, we stamped the snowmen hats in different shapes and sizes. For a final added touch, we used our fingerprints to create falling snow. If you want to stay clean, try using q-tips or a small pom-pom. 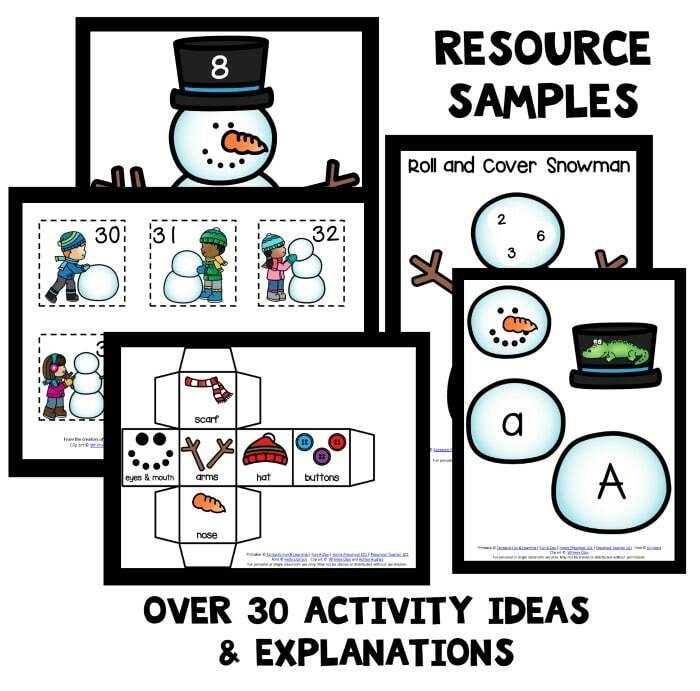 To extend this snowman art activity, you may invite children to dictate their snowman scene to you. 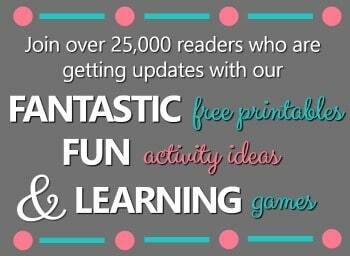 If you are working with any early writers, this would serve as a great journaling extension activity as well.